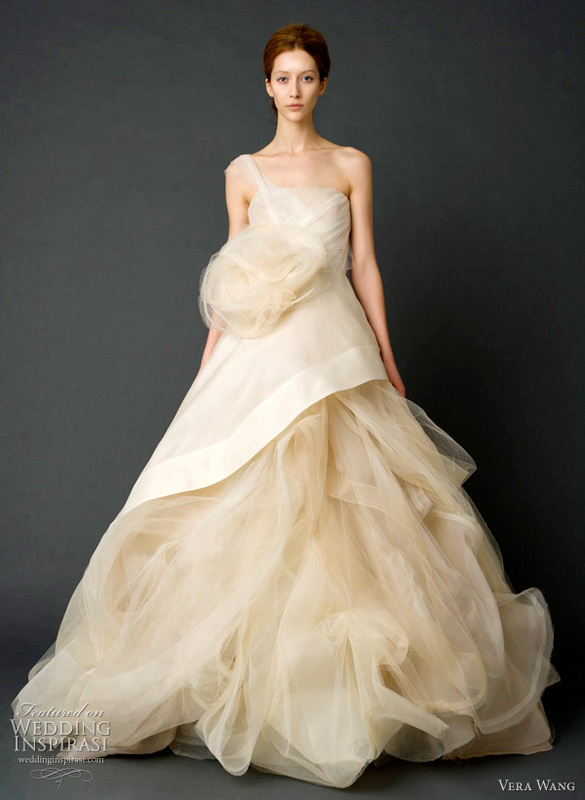 Is it possible to go through a collection of Vera Wang wedding dresses without mentioning the word “gorgeous”? 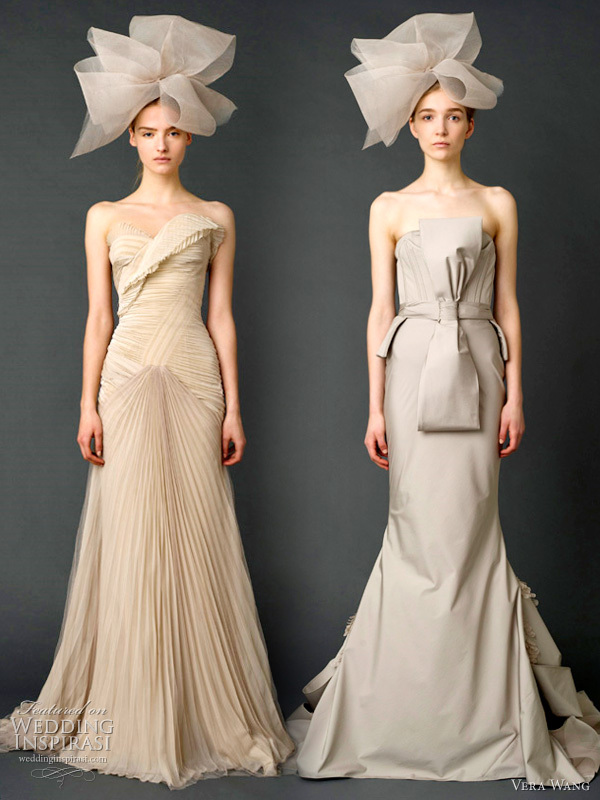 We don’t think so — so here’s the quintessentially gorgeous Vera Wang Spring 2012 bridal collection for your viewing pleasure. Above, Sand one-shoulder gazar and French tulle ballgown with asymmetrical peplum bodice, draped skirt with tulle petal detail and horsehair and tulle corsage. Below, Charcoal strapless sweetheart ballerina ballgown with swirling organza pleated train, watteau back and draped French tulle bodice with grosgrain multi-bow sash. Love! Strapless gown with looped petal detail on back bustle and trapunto-stitched bustier with grosgrain multi-bow sash. 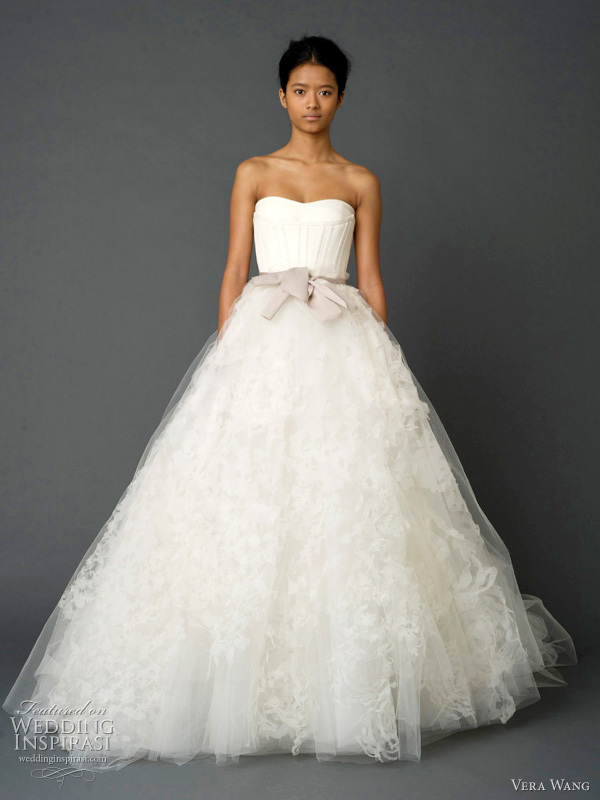 Strapless sweetheart tulle ball gown with trapunto-stitched gazar corset. 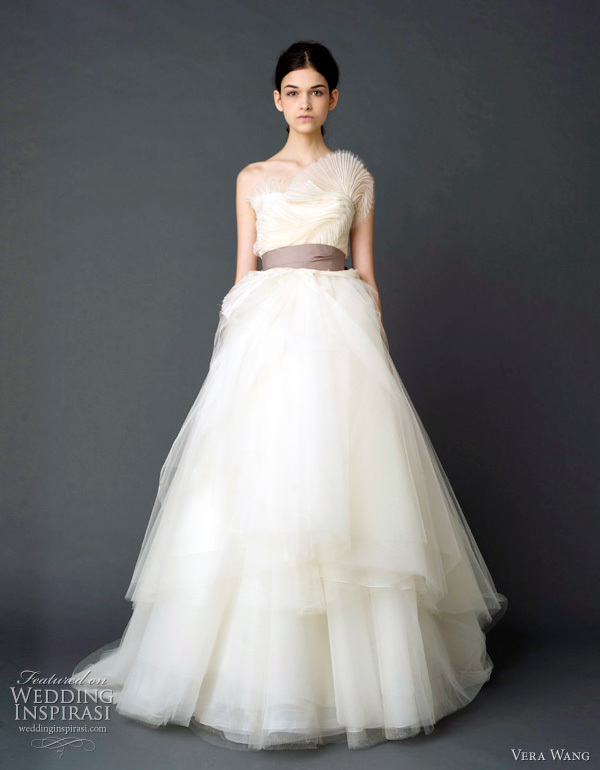 Organza ballgown wedding dress with draped tulle petal detail and grosgrain multi-bow sash. More beautiful wedding dresses after the jump. Click Read More to continue. Strapless tumbled tulle caged wedding gown with floating lace and organza appliqué, horsehair and tulle corsage. 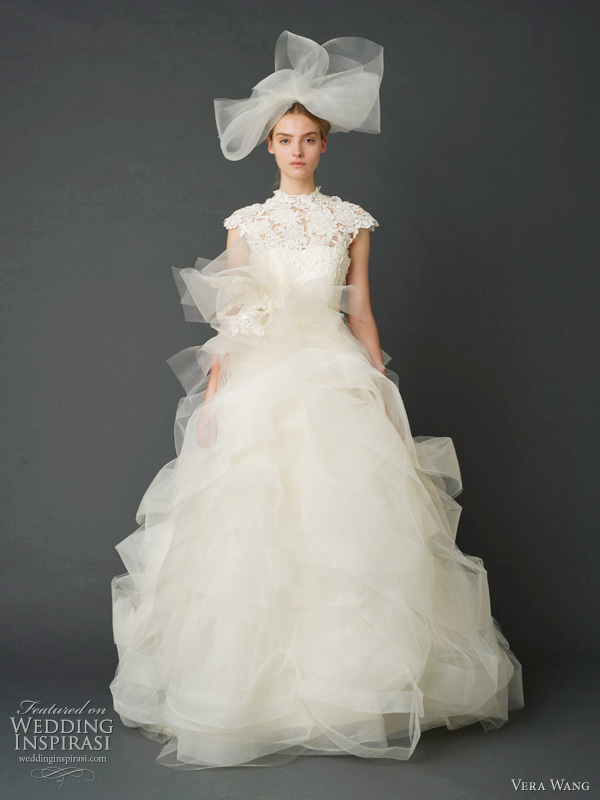 Guipure lace build-up ballgown with swirling honey comb tulle and horsehair confection skirt. 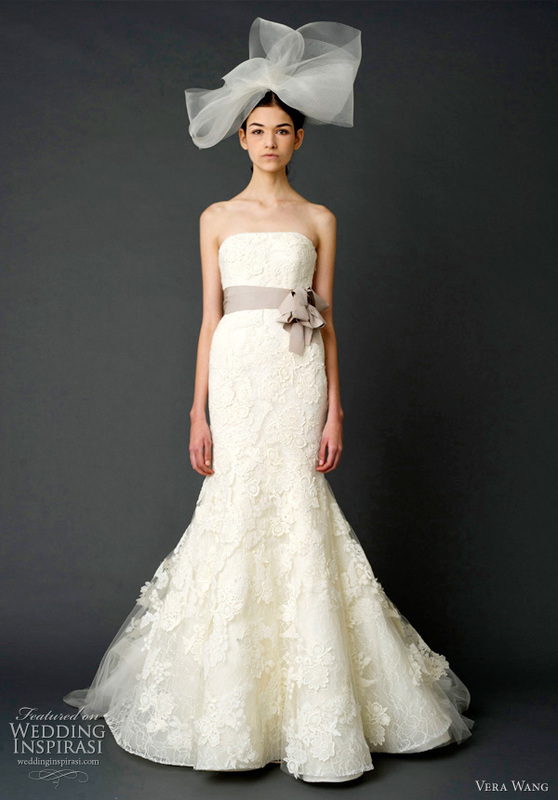 Celadon strapless gown with layers of degrade floral laser-cut organza and trapunto-stitched bustier. 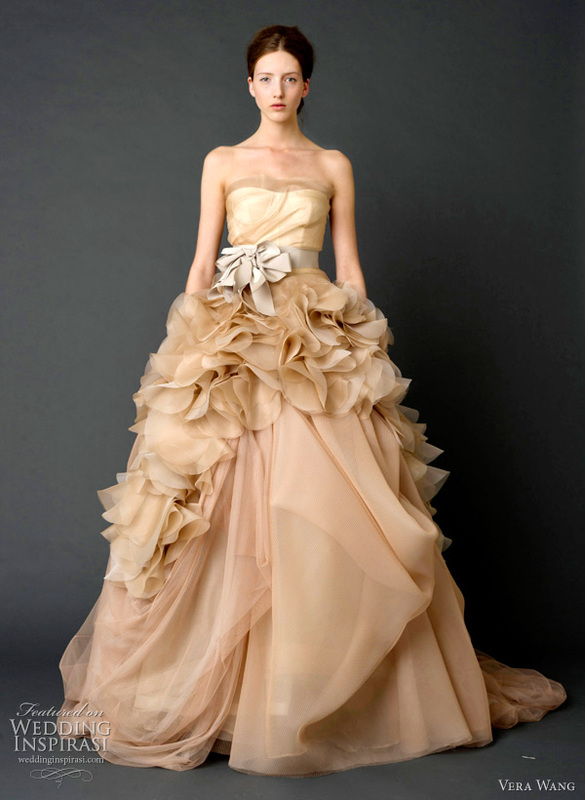 Strapless ballgown with tiered tulle confection skirt, sunburst pleated bodice and grosgrain multi-bow sash. Strapless mermaid gown with floating multi-layered lace appliqué and sunburst petal pleated train with grosgrain multi-bow sash. 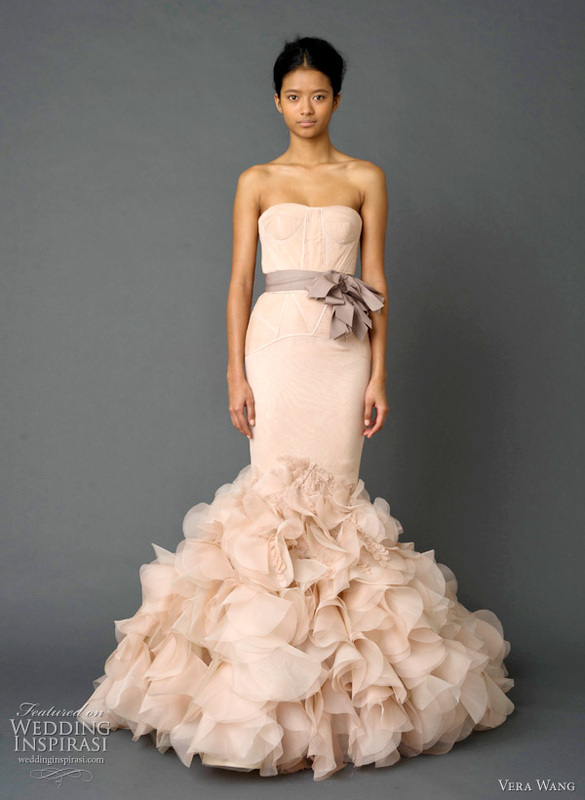 Pale pink strapless mermaid gown with pleated chiffon bodice, tissue organza blossom peplum with draped petal technique detail and grosgrain multi-bow sash. Dusty rose strapless sweetheart soft mermaid gown with cascading French tulle and organza skirt and sunburst pleated bodice with grosgrain multi-bow sash, Stone strapless stretch faille mermaid gown with double bustier and multi-tiered, petal detailed back. 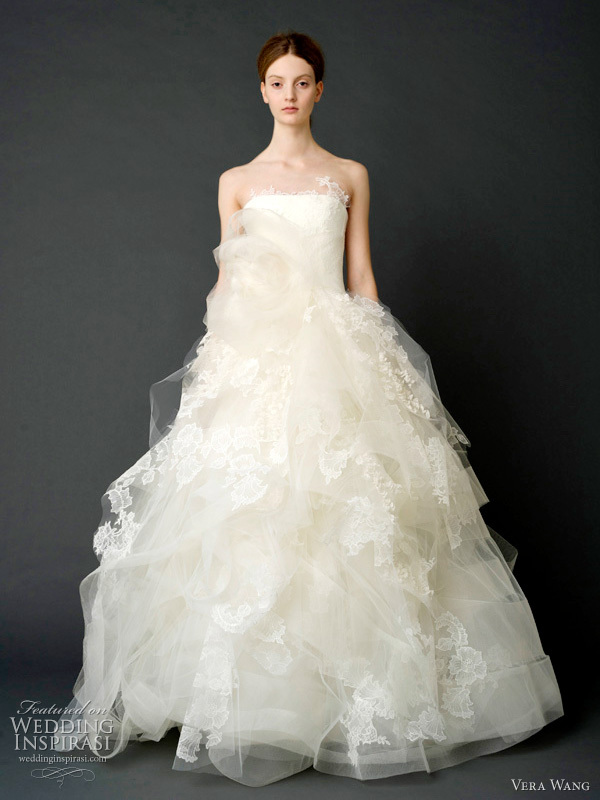 For more details on Vera Wang wedding gowns, click here.